The OnePlus 6 is blazing fast, shoots amazing portrait mode photos, has a polished refined design and costs much less than other flagship phones. 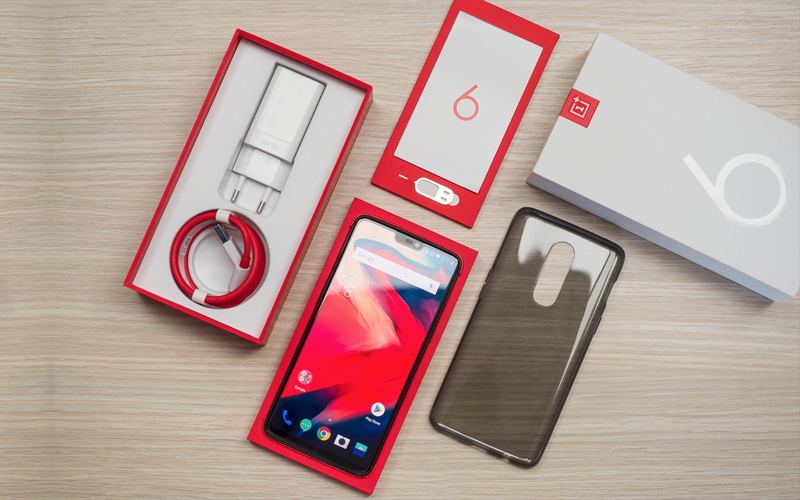 The OnePlus 6 is an excellent phone and packs many of the features that more costly flagship phones have. 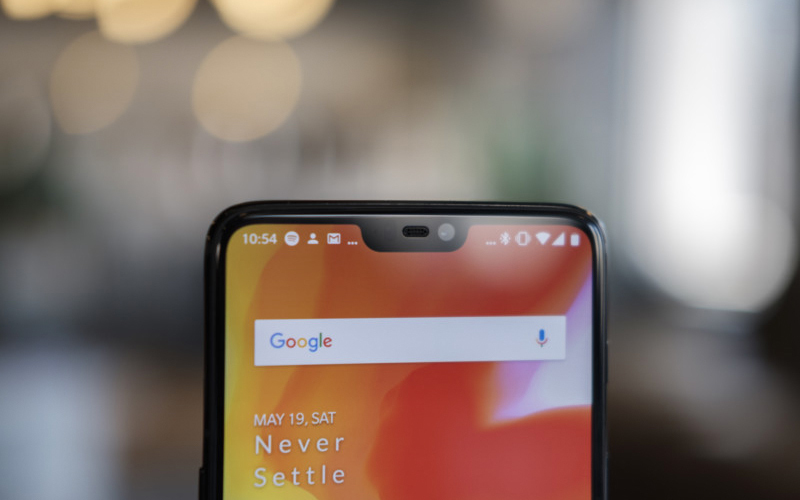 For several years now, OnePlus has been releasing phones with a variation on the same promise: get all the best, flagship smartphone features without paying flagship prices. Combined with some savvy marketing, the strategy has created a cadre of devoted fans. And those fans aren’t just getting bamboozled, either: OnePlus phones have always done a great job of outperforming their price point in both quality and functionality. The latest chapter in that story is the new OnePlus 6, which is available to order starting on May 21st and starts at Rs.34,999. It is hands down the nicest OnePlus phone ever released. The OnePlus 6 is immediately distinguishable from its predecessor. The phone swaps out a metal back for a glass one and rotates the camera, moving it to the center of the body. The rear fingerprint scanner is now oval, instead of the 5T’s circle. The beveled edges on the OnePlus 6’s back panel are subtler than the 5T, making it feel slightly wider. 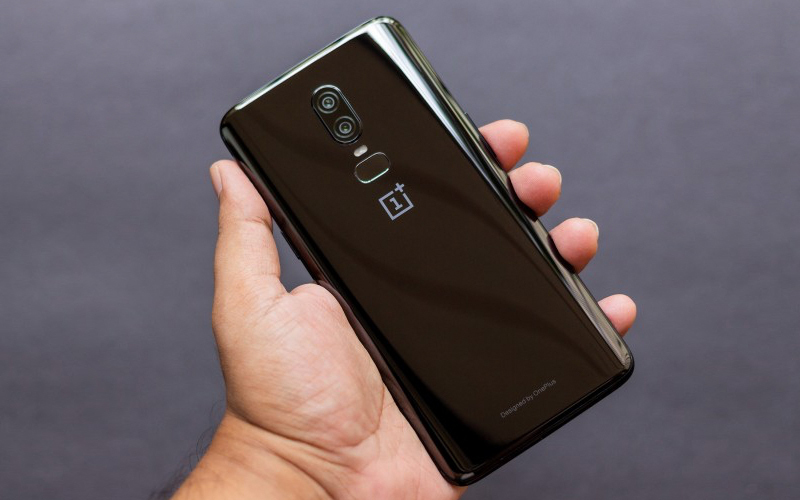 The OnePlus 6 is also 15 grams heavier (at 177 grams) and .45mm thicker (7.75mm thick), due to its Gorilla Glass 5 exterior. This sounds like a minor difference, but it makes the OnePlus 6 feel a lot sturdier. 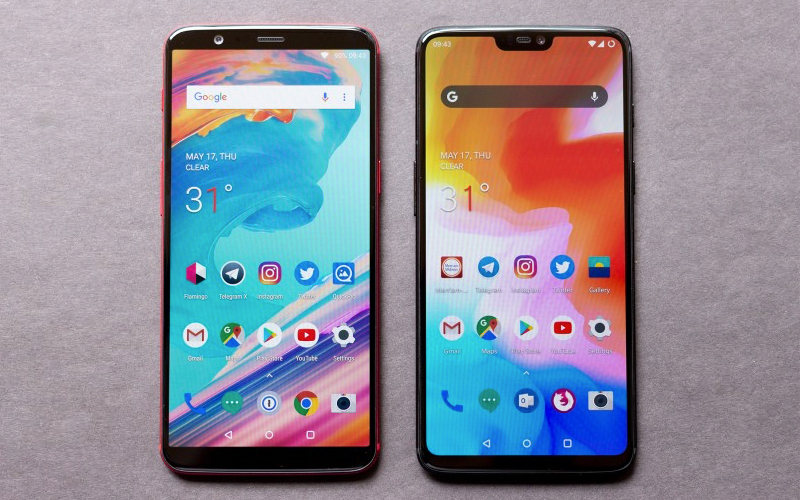 Despite these changes, the overall shape and footprint of the OnePlus 6 are very similar to the OnePlus 5 and 5T. This is rather impressive considering the display size increased by .27 inches. The front panel is almost entirely screen, with a small chin on the bottom and very thin bezels on the sides of the display. The top of the front panel is almost entirely bezel-free thanks to the notch, which contains necessary components like the front-facing camera. Love it or leave it, the massive display simply wouldn’t be possible without it. The buttons and ports are in mostly the same spots as the OnePlus 5T, with one notable difference. The SIM tray and OnePlus notification slider have swapped sides. Having the slider on the right side actually feels much better. However, longtime OnePlus users might find it takes a little getting used to. On the bottom, you’ll find the headphone jack, USB Type-C port, and a single speaker. Both color options are unique due to a special film application over the glass. The silky white almost feels like it has a baby powder finish. Both the mirror black and midnight black options feel more like normal glass, but the mirror variant is shinier, more reflective, and more of a fingerprint magnet. The OnePlus 6 still looks like a OnePlus handset, just with a more mainstream, premium shell. The switch to a Gorilla Glass 5 exterior has us a little worried about the long-term durability, but there’s no denying it feels fantastic. The OnePlus 6 isn’t waterproof, which is a letdown. OnePlus tested it to handle splashes, puddles, and rain internally, but there’s no formal IP certification. It’s unlikely the phone would fair well with full submersion. We haven’t tested these claims thoroughly, but the OnePlus 6 fared fine during use on a particularly rainy day. This anecdotal evidence is far from a full endorsement in OnePlus’ water resistance claims, but take it for what it’s worth. The OnePlus 5T gave us a 6.01-inch 1080p Optic AMOLED panel with an 18:9 display ratio, a very noticeable upgrade from the OnePlus 5. The 6.28-inch upgrade on the OnePlus 6 isn’t quite as dramatic. The new display has smaller bezels thanks to the notch design, and it’s a bit bigger. Don’t expect it to feel massively different if you’re coming from the 5T. The underlying technology isn’t exactly new either, as it’s still a 1080p AMOLED, this time with a slightly higher resolution of 1,080 x 2,280. Despite that, this is still an excellent display. 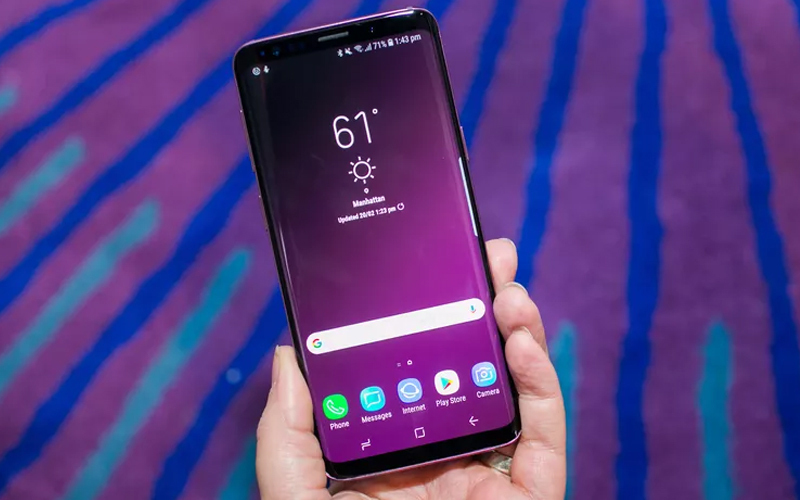 All the benefits you’d expect from AMOLED are present, including vibrant colors, great viewing angles, inky dark blacks, and plenty of brightness for outdoor use. If you aren’t quite satisfied with the out-of-the-box settings, OnePlus has several display features to further refine your experience. Its sRGB mode will improve color accuracy, and you can also use color temperature sliders to fine tune things to your liking. The ambient display mode is easy on the eyes and the reading mode makes the display black and white for a more ebook-like experience. If you’ve used a OnePlus handset before, you’ll likely be familiar with all these features. We get it, it’s 2018 and a 2K display would have been nice. Regardless, unless you’re really particular about resolutions, you probably won’t notice any major difference. A lower resolution also tends to result in better battery life (more on that in a bit). Other than its larger size, the OnePlus 6 display isn’t much different to last year’s model: it’s a 1080-pixel wide OLED panel with vibrant colors and deep blacks. It doesn’t get as bright and doesn’t have as many pixels as a Galaxy S9 screen, but it’s still easy to read outdoors and doesn’t have the major color-shifting problems or issues that plagued Google’s Pixel 2 XL. When it comes to performance, the OnePlus 6 is very fast, which isn’t a huge surprise given its processor and copious amounts of RAM. But OnePlus does a lot of things to make it feel even faster than other Android phones, such as speeding up animations so everything happens a millisecond or two quicker. It seems that OnePlus has adjusted its tuning from prior years, because the 6’s animations don’t seem as reckless as before, and feel less l like I’m using the phone in “fast-forward mode.” That could just be my perception, but it’s a great experience either way. OnePlus is known for making small concessions to the keep price down, but this didn’t affect performance. The OnePlus 6 has some of the best specs you’ll find in the Android world. The OnePlus 6 is powered by Qualcomm’s Snapdragon 845, paired with either 6GB or 8GB of RAM. As you’d expect, the performance here is flawless. Animations are fast and fluid, and touch response is highly accurate. Every game or app we threw at it launched quickly without any noticeable hiccups. More demanding games like PUBG Mobile didn’t skip a beat. Real world performance doesn’t get much better than this. The benchmarks further support this claim. We ran the OnePlus 6 through Geekbench, AnTuTu, and 3D Mark, comparing it to the Galaxy S9 Plus. GeekBench 4 gave the OnePlus 6 a single-core score of 2,454 and a multi-core score of 8,967. In comparison, the Galaxy S9 Plus had a single-core score of 2,144 and a multi-core score of 8,116. AnTuTu ranked the OnePlus 6 with a 262,614 overall score. The Samsung Galaxy S9 Plus actually came out a little ahead here, at 266,559. Finally in 3D Mark the OnePlus 6 scored a 4,680 versus the Galaxy S9 Plus’ score of 4,672. When it comes to real world differences, this all means very little. However, it illustrates that the OnePlus 6 has just as much muscle as a much more expensive flagship. The OnePlus 6 comes in storage configurations of 64GB, 128GB, or 256GB. The smallest of these is paired with 6GB of RAM, while the other two models rock 8GB. The OnePlus 6 doesn’t support microSD expansions, but the larger built-in storage sizes help make up for this. 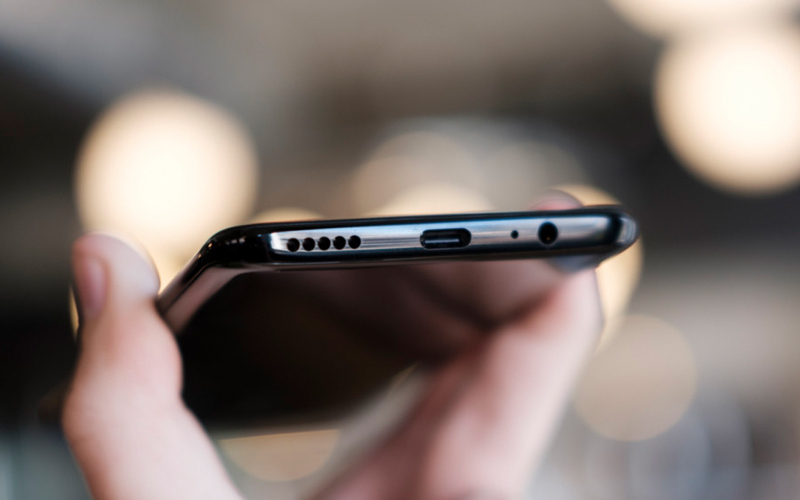 OnePlus 6 owners will not only have access to Bluetooth 5 for listening to music wirelessly, there’s also the trusty 3.5mm headphone jack. 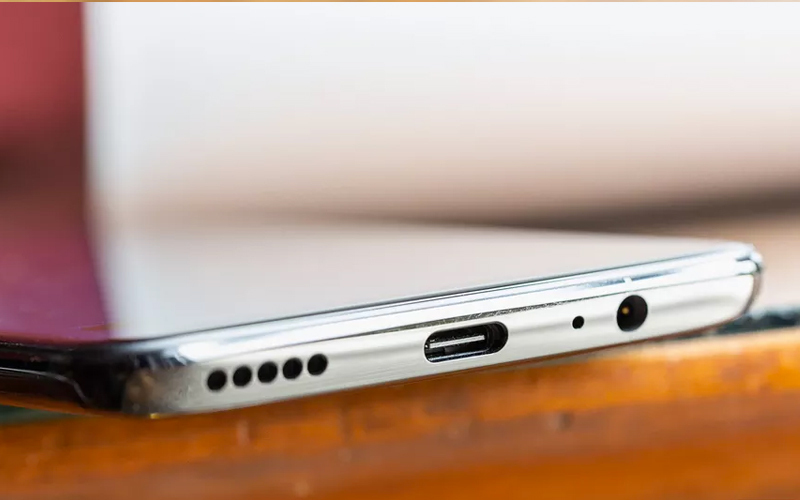 At least for now, OnePlus continues to be dedicated to a port many other manufacturers have deemed unnecessary. OnePlus doesn’t offer Dolby Atmos, instead opting for Dirac HD Sound. While there are technical differences, both essentially set out to do the same thing: provide a better optimized, more immersive listening experience. OnePlus doesn’t include any headphones out of the box, but keeping the included accessories to a minimum is a way to keep costs down. Most bundled headphones aren’t particularly great, anyway. For those times when you’d rather use the internal speaker, you’ll find the OnePlus 6 delivers a pretty average experience. We did a scientific listening test where we played the same song, ringtone and call on the Samsung Galaxy S9, Google Pixel 2 XL, and the OnePlus 6. The sound difference wasn’t very noticeable across the three models. All the tested OnePlus phones provided a reasonably loud experience, with the kind of distortion you’d expect when cranked to higher volume levels. 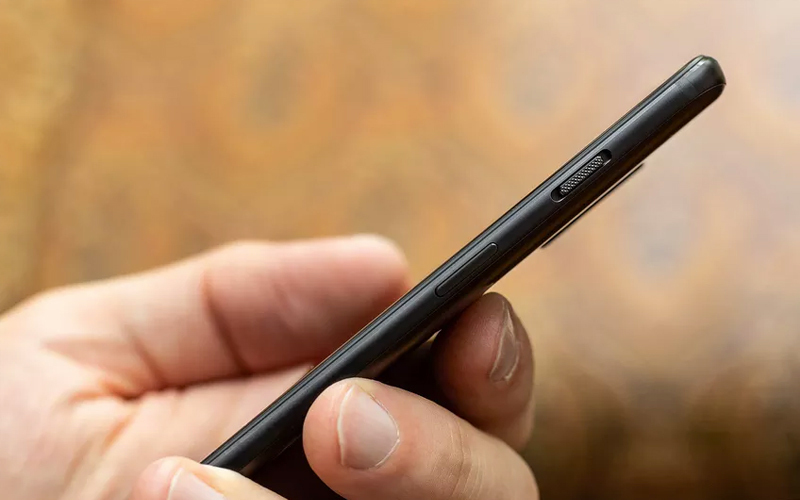 We mentioned earlier the OnePlus 6 fingerprint scanner has a new shape, but this is purely an aesthetic change. The scanner is as fast as ever, unlocking the device nearly instantaneously. There’s not much more to say about the OnePlus 6’s scanner — it’s one of the best around. If you’re not into fingerprint tech, the 5T’s Face Unlock feature makes a return with the OP6. Face Unlock wasn’t perfect on the 5T, but it was fast and very usable most of the time. The OnePlus 6’s face unlocking isn’t any faster, but it is much more reliable. It never failed to recognize my face, even in relatively dark environments. Setting it up is very easy. Just line up your face with the camera and it will do a quick scan. After that opening up your phone is as simple as hitting the power button and letting the front camera see your face. This method isn’t as secure as a fingerprint reader, but it is arguably a bit more convenient. The OnePlus 6 features 4×4 MIMO and Gigabit LTE. Gigabit LTE support is a first for OnePlus. Not all markets support these speeds yet, but it’s a nice extra bit of future proofing. The OnePlus 6 has the same 3,300mAh battery size found in the OnePlus 5 and 5T. Despite the phone’s bigger display, battery life doesn’t suffer. 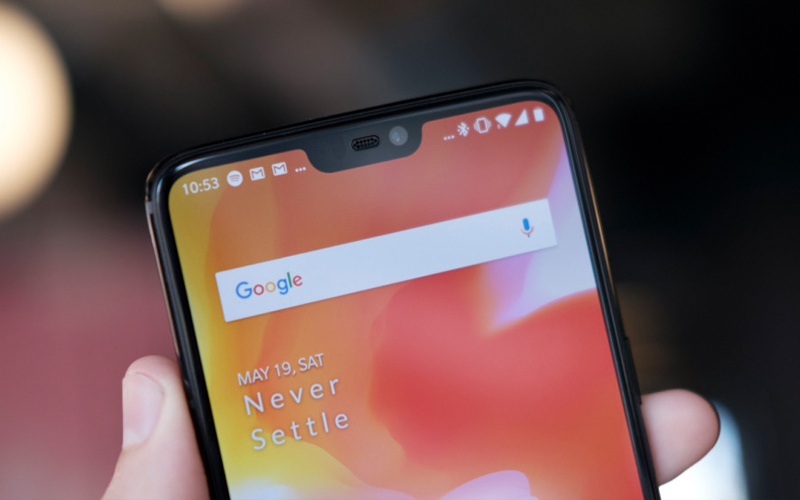 Qualcomm’s Snapdragon 845 is more power efficient than ever, and OnePlus’ commitment to a less demanding 1080p display doesn’t hurt either. We had a screen-on time of around 5.5 hours. This is a more than acceptable average, considering we were running plenty of intensive apps to test performance. On days where my usage was more in line with an average user, the screen on time easily made it closer to six to seven hours. I also ran the OnePlus 6 through PCMark’s battery test at the highest brightness. PCMark puts the phone through a variety of tests designed to simulate real life usage. The final reading was a screen-on time of five hours and three minutes. Considering most users won’t actually run the phone at full brightness, you can expect at least this level of performance. The OnePlus 6 battery performance isn’t groundbreaking but it’s well above average. It’s also almost irrelevant thanks to OnePlus’ Dash charging. 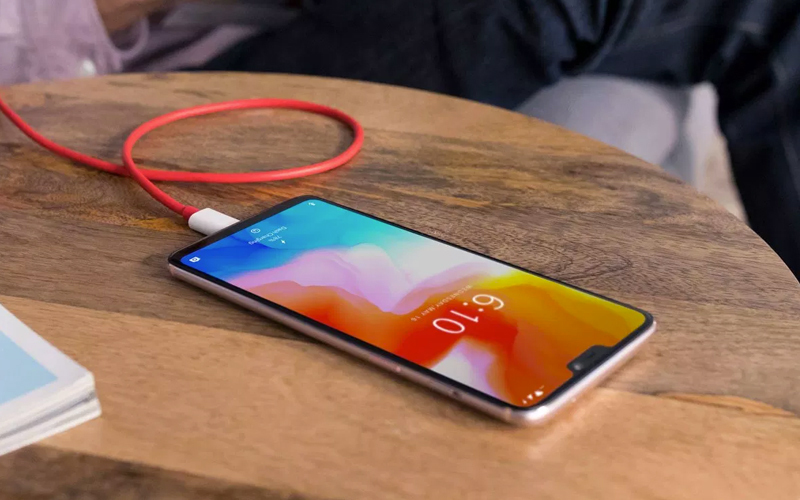 Dash Charge can take a battery from empty to 60 percent charged in just 30 minutes, which is quicker than many other quick charging solutions on the market. Combined with already great battery life, you’ll rarely find yourself completely out of juice. Here’s a complete rundown of our battery test. 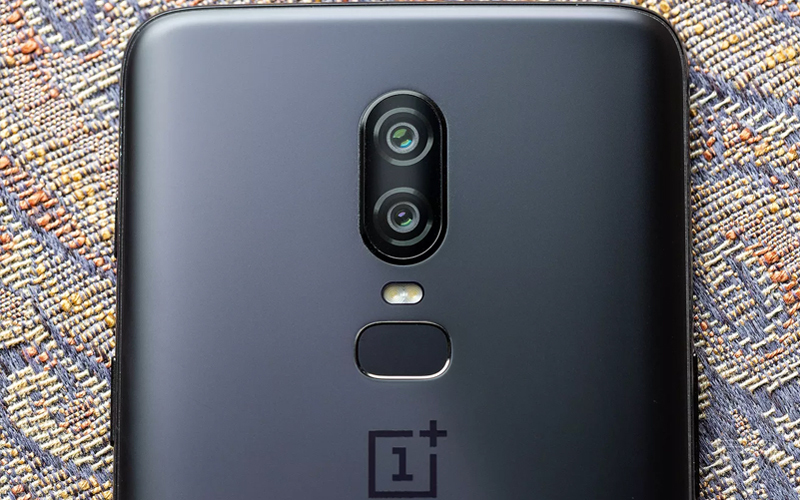 The OnePlus 6 has a dual camera system on the back, basically the standard now. 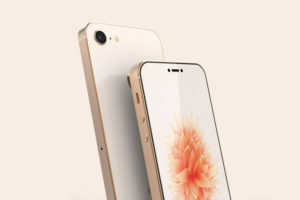 It uses a 16-megapixel main sensor for most of the heavy lifting, and a secondary 20-megapixel sensor to add more detail and enable portrait mode blurring effects. The main sensor has been upgraded with larger pixels and optical image stabilization for better low-light performance and it is now capable of shooting 4K video at 60 frames per second and slow-motion video at 240 frames per second (1080p resolution) or 480 frames per second (720p resolution). Compared to last year’s OnePlus 5 or 5T, the OnePlus 6’s camera is a step up: images are sharper and have more detail, especially in low light. The camera app opens quickly and has a logical, easy-to-follow interface. But the portrait mode is just as gimmicky as before, and while the new slow-motion video modes are nice to have, I don’t really see myself ever using them. The OnePlus 6’s photos look much sharper in low-light that the 5T, though there’s some oversharpening around the edges. Colors are more natural, and you can discern more details. The difference is particularly visible at full-size crop, where pictures are less smudgy. As you’d expect in low light, some details are still lost. In better lighting there is still improvement, but the differences between the OnePlus 6 and 5T cameras are much less noticeable. The sharpness and details in photos from the main camera are very good, with accurate colors that aren’t oversaturated. Dynamic range is also very good here, delivering a great amount of detail without overdoing the contrast. Image quality tends to fall apart when using 2X zoom, so you are likely better off without it. 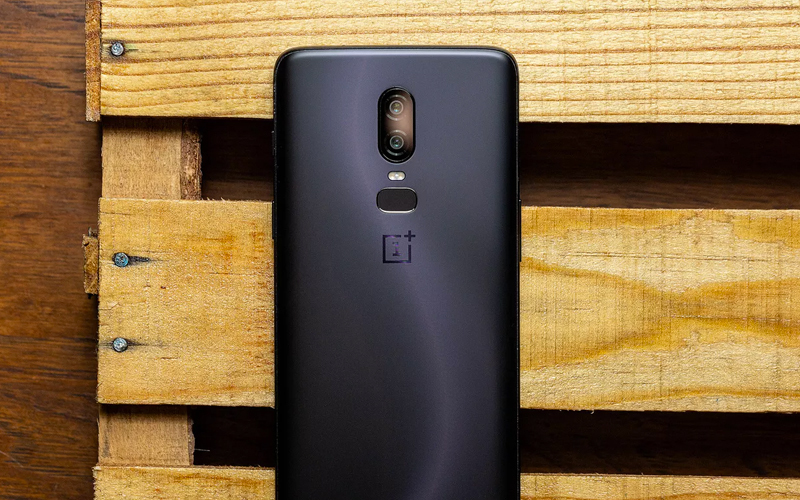 OnePlus added a few new tricks to the OnePlus 6 camera, including 4K 60fps recording and the addition of optical image stabilization (OIS). The phone can also now shoot slow-motion video in 1080p at 240fps and 720p at 480fps. Most of the 5T’s features return in the OnePlus 6. There’s a Pro Mode for more control over images, similar to what you’d get from a DSLR. Portrait mode is also present, though it’s not exactly great. We are fans of the idea behind artificial bokeh effects, but the bokeh area on the OnePlus 6 looks pretty fake. Hopefully OnePlus continues to address this issue, especially since it plans to bring portrait mode to the front camera in a future update. But if you compare it to something like Google’s Pixel 2, a Samsung S9, or a Huawei P20 Pro, the OnePlus 6 images don’t hold up. Colors are nice and exposure is generally accurate, but the pictures have a gritty, over-sharpened look to them, especially when you zoom in. Even though the OnePlus 6 has both automatic and manual HDR modes, it doesn’t do as a good of a job pulling detail out of shadows or replicating what my eye can see as Google’s Pixel, and it can’t touch the Huawei for low-light image capture. The pictures just lack the “wow” factor that the best smartphone cameras all have. The selfie camera is really good here, and actually looks a bit better than the 5T, despite using the same sensor. Some post-processing or software improvements must be in play. Image details are great, with good color reproduction and natural skin tones. The OnePlus 6 offers a camera experience that should be more than good enough for casual photographers, but David and I both felt it wasn’t a big upgrade from the 5T. We also feel like the software could use some further refinement. All the major OEMs are focusing on AI improvements for the camera and it’s pretty obvious this is an area where OnePlus is behind the pack. Here are the sample from the camera under different lighting conditions. OxygenOS is one of our favorite parts of the OnePlus experience. It’s clean, fast, and doesn’t overwhelm you with any unnecessary apps. In short, it’s a lot like Google’s Pixel software in all the ways that matter. At the same time, there’s plenty of customization features and settings so you can custom-tailor the experience to your needs. The current version is based on Android 8.1 Oreo and feels nearly identical to the 8.1 upgrade on the 5T. All of our favorites return here, including Parallel Apps. This feature lets you run more than one instance of the same app. This means you can have multiple logins running at once for things like Snapchat, rather than completely logging out of one to switch to the other. As we mentioned in the camera section, there is a new portrait mode set to come to the phone shortly after it’s launch. We’ll be sure to give our impressions of this feature when it arrives. That’s not the only change to the camera software. The camera app now features a basic video editing suite, so you can add things like filters, music, and even cut videos directly from within the camera app. For those who want to quickly enhance their videos right from the phone, this is a nice extra. Some third-party editing apps probably do a better job, but it’s still a nice touch. 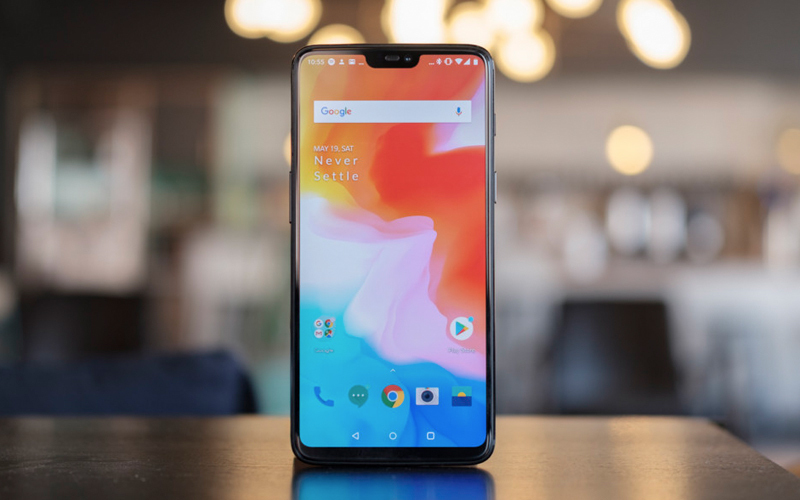 Other key features of OxygenOS 5.1.3 include iPhone-style navigation gestures and an improved Gaming mode to reduce the allocated bandwidth to background applications. Neither of these features came with the 5T out of the box, but they exist in the 5.1.1 software update on the OnePlus 5T. There’s likely to be a few other small refinements and changes throughout the UI and stock apps, but nothing stood out too strongly. Over the past few years most OEMs have moved towards a less-is-more approach to software. This is an area where OxygenOS particularly shines. Everything found on the phone feels like it’s there for a reason —there are few gimmicks. Shelf is one of the few features that stand out from this vanilla approach — it’s a great way to quickly find your most used apps and other important information. 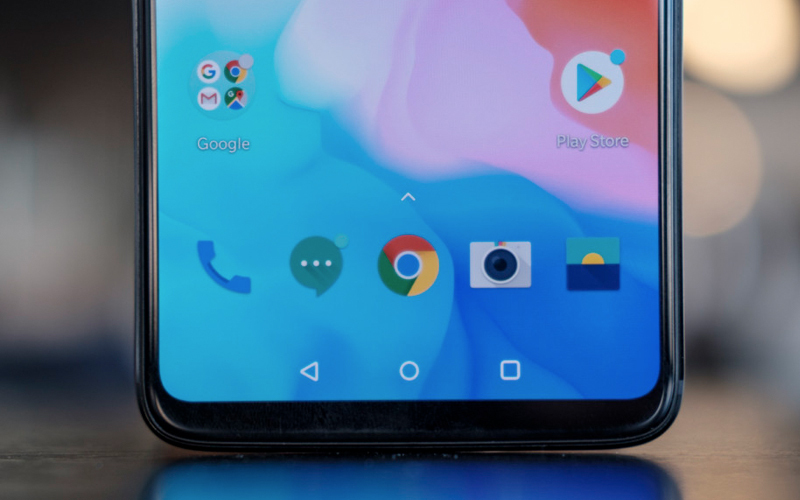 OxygenOS’ minimalist design means the launcher isn’t quite as robust as what you might find with other phones and from 3rd party options, but it’s still plenty powerful. Dark and light mode let you change up the way the UI feels. There’s also accent colors to give you that little extra personal touch. OnePlus even added a number of gestures for getting around the UI easier, including the new gesture-based navigation system we mentioned before. Impressively, the OnePlus 6 already supports Android P through the official Android Beta program. Android P isn’t necessarily suited for daily use just yet, but it’s a nice addition. It also means the OnePlus 6 should be one of the first phones to get the final Android P release, outside of the Pixel family. The OnePlus 6 has two ways to unlock it: your finger or your face. The face unlock is not as secure as Face ID on the iPhone X, but it’s super convenient and fast. For some reason, OnePlus removed the swipe gestures on the fingerprint scanner to reveal the notification shade, which seems like a minor thing but has annoyed me the entire time I’ve used the phone. It’s one of those things that make handling a very large phone easier and its removal is confounding and frustrating.